The 12 tracks of the new CD take the listener as passenger on a trip traveling through both relaxing and enthralling auditory landscapes. Besides wistful, melancholic and yearning piano passages, there are also powerful and lighthearted tones unfolding to fortify the listener. Ballads alternate with impulsive, impetuous pieces. 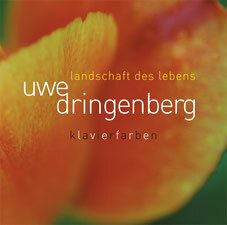 In the market segment of contemplative "new classical" pianists, the new work of Uwe Dringenberg sets him in the same ranks as international artists, such as Ludovico Einaudi, Didier Squiban, Ryuichi Sakamoto and Yann Tiersen. 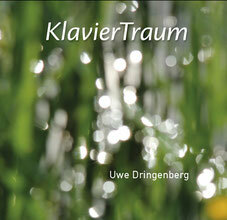 The Swabian Alb over the course of the four seasons was the inspiration for these recordings. These cameo scenes are born out of the silence and are woven as threads in a tapestry of serenity. 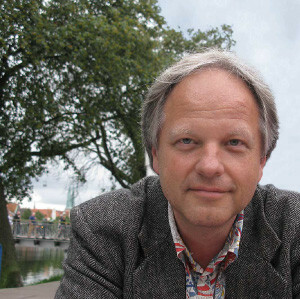 They open the eyes wide and that which is perceived is transformed into moments in sound. 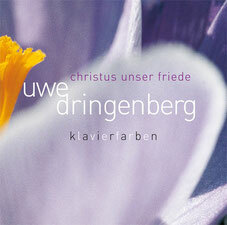 The Christian faith is the source from which Uwe Dringenberg draws his inspiration. His personal relationship to Jesus Christ is expressed by the biblical quotations assigned to the individual pieces. Consolation and inner peace are the quintessential elements of this music - let trust, belief and confidence be the result.